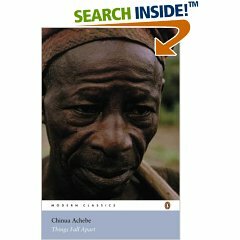 Things Fall Apart is said to be ‘the founding father of the African novel’. I wondered why and found that it is an anthropological classic. The everyday lives and believes of Nigerian villages evolve beautifully, coloured with folk tales (birds and the tortoise) and festive songs. Basically all aspects of a traditional life is depicted through the daily events of Okonkwo’s family. I particularly enjoyed the insight on marriage negotiations and the sometimes barbaric believes (twins need to be thrown away and children murdered for the sake of the Earth Goddess). 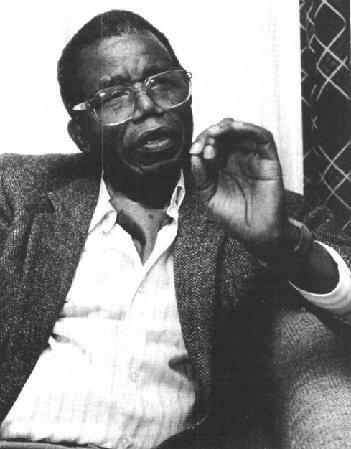 There is a twist to the story that differentiate Achebe’s book from other African novels I’ve read and that is the hands-on description of colonisation through the eyes of the confused natives. The chaotic circumstances of the clash of civilisations is very though provoking and edifying. I slightly missed the attachment to the characters but the cold-headed description of events has helped the story which towers over the individuals.